Interest in the iPad 2 is still high. And it seems the hackers just got hacked. 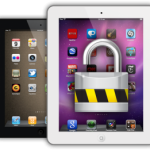 A few days ago, a pre-release version of the Comexâ€™s jailbreak utility for the iPad 2 was leaked. While it still has a few bugs, it is apparently usable. The leak was immediately followed by comments and rumors within the jailbreak community. Usersâ€™ reactions to the leak are various: while some have welcomed it and started using it as a kind of training before the official release, others see it as a lack of respect for the developersâ€™ work and are considering the leaker a traitor. So far, there is no certainty whether this was a calculated PR move by Comex, a nudge to get them moving and release the jailbreak utility sooner or just a well played prank. What is certain however is that the leak caused a big stir not only within the community but also with Comex. Before the leak, Comex was looking to finalize work on the upcoming JailbreakMe 3.0 and release it. Now, it seems, the group has been given a good kick to hurry the release. Appleâ€™s response to the Comexâ€™s utility is still not official. Rumors however fill this gap quicker than Apple can fill the security holes in their software. Some members of the community seem to think that an upcoming iOS 4.3.4 is in the works and will be able to patch JailbreakMe. Others though assume that the announced iOS 5 is too close to being released and would make any iOS 4 redundant. While waiting for news on the subject and the subsequent releases, current iOS 4.3.3 users are advised to stay in their homes and backup their blobs. We might see some fireworks flying!